Do you love them all? You don't have to decide! Indulge yourself with three of our favorite products – a 10 oz. jar of Blister-Fried Peanuts, a 9 oz. jar of Chocolate-Covered Peanuts and a 9 oz. 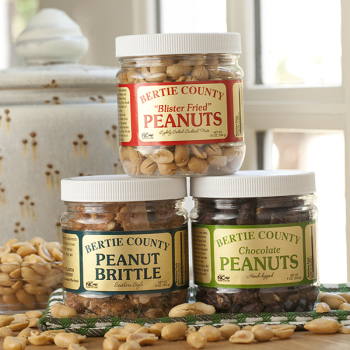 jar of Peanut Brittle. Three times the pleasure. All of these are great. Excellent products, outstanding service. Would absolutely recommend. We got these as a gift for Christmas and they were wonderful!! This order seemed a little stale. Owner Response:We'll be in touch. Purcahsed for a gift. Nicely packaged and will make a very nice gift. 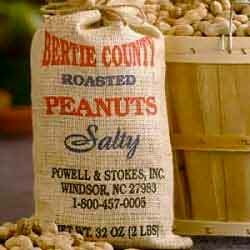 Highly support NC agriculture products. Great to send a friend. 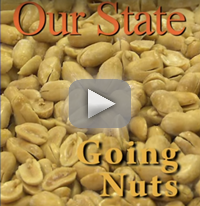 My favorite way to introduce tasty NC peanuts done different ways. All the peanuts are delicious. However, I had not realized the chocolate coating is made with hydrogenated palm kernel oil until I read the ingredient list on the package--which is not available online. I try to avoid hydrogenated oils and might have made a different choice if I had had this information. The Triple Treat set is a definite purchase again, for myself as well as as gifts. Very quick response on shipping and accurate on the order. Excellent quality. I totally messed up my order on line and the person who answered the phone was kind enough to take names & addresses for 4 recipients of my order. 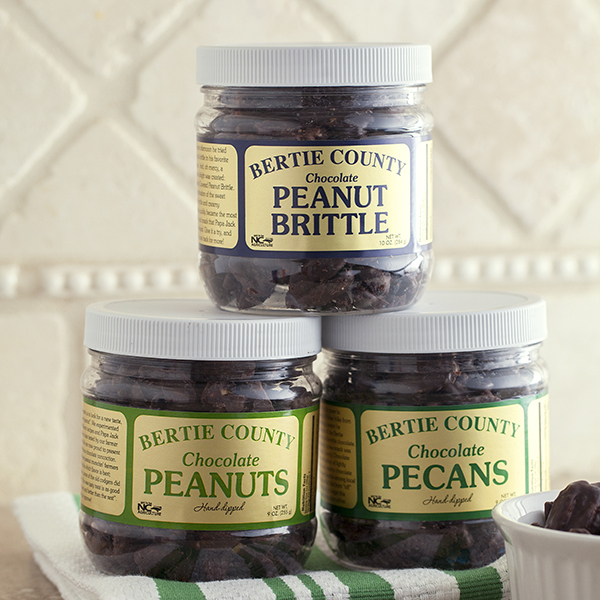 Grew up in Bertie & it's exciting to see Jack Powell's company excel. Did I mention the nuts are great, too. I got this gift for my mother and father in law who love sweet snacks! It was the perfect gift! Excellent product, loved all 3.